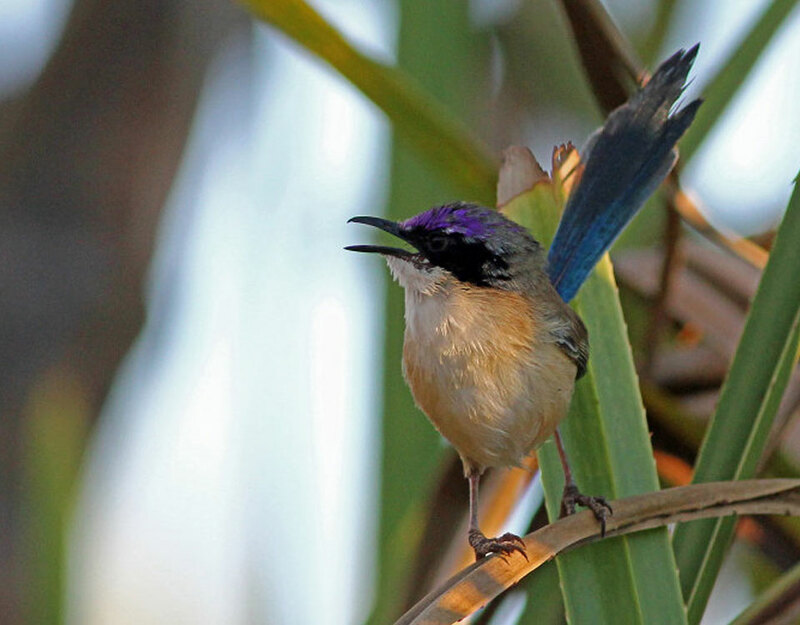 This tour is desgined to link our preceding Nine Grass-wren and following Tropical & Far-North Queensland bird-ing tours, as a pleasant alternative to get from Mount Isa to Cairns. It can be taken as a stand-alone tour as well. We will be exploring the Gulf and Savannah country, the stark landscape around Mount Isa and the lush tropical highlands surrounding Cairns. The trip is run during the dry season, generally a great time to go birding in this region as the weather will be balmy and birds abound. During these 8 days we expect to see up to 200 species, including sought-after birds such as Purple-crowned Fairy-wren, Buff-sided Robin, up to 8 species of finch in-cluding Black-throated Finch; Great-billed Heron, White-breasted Whistler, Red-headed Honeyeater, Mangrove Fan-tail, Mangrove Robin, Yellow White-eye, Sandstone and Bower’s Shrike-thrush, Golden Bowerbird, Flock Bronzewing, Spinifex Pigeon and even the enigmatic Grey Falcon.